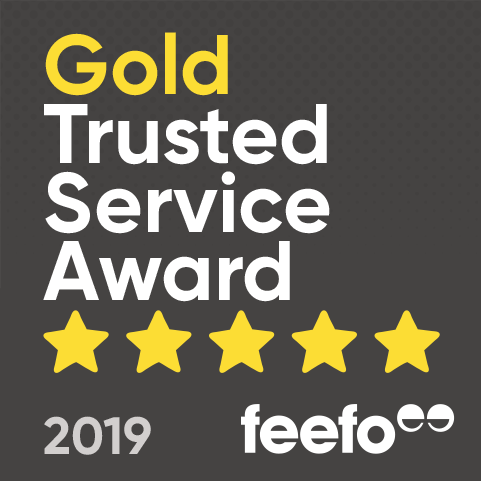 Earth Cycle has won a Feefo Gold Trusted Service award, an independent seal of excellence that recognises businesses for delivering exceptional experiences, rated by real customers. Earth Cycle met the criteria of collecting at least 50 reviews between January 1st 2018 and December 31st 2018, with a Feefo service rating of between 4.5 and 5.0. This was the first year that Earth Cycle have been using Feefo's independent review platform, which enables real customers to rate its own service and products. As well as achieving an average rating of 4.6/5 for service, Earth Cycle has received an average product rating of 4.8/5, which reflects the quality in the range of 100% Peat-Free Topsoil, Compost, Mulch, Decorative Bark, and other sustainable landscaping products to gardeners across the UK.